The meteoric rise of Aaron Judge, Gary Sanchez, Greg Bird, and Luis Severino―and the rest of the new generation of superstar Yankees―from the “inside baseball” strategy in assembling the teammates, their paths to Yankee Stadium, their streaks and slumps, their early stats against those of Hall of Famers and Pinstripe legends, and their drive to become champions for Yankees Nation. Not since the arrival of Derek Jeter, Mariano Rivera, Jorge Posada, and Andy Pettitte have a group of young Yankee prospects brought such excitement to baseball in the Bronx. Aaron Judge (25 years old), Gary Sanchez (24), Luis Severino (23), and Greg Bird (24) could be even more talented than that 1990s’ “Core Four” group, according to manager Joe Girardi. And they’re not alone . . . The Yankees also have youthful players such as Aaron Hicks, Clint Frazier, Didi Gregorius, Tyler Austin, Miguel Andujar, Chance Adams, Jordan Montgomery and Tyler Wade making their names known. Beginning with Judge and Sanchez competing at the 2017 Home Run Derby, when Judge―the 6-foot-7, 282-pound slugger―planted the Yankees’ Youth flag on the All-Star Weekend grounds by mashing four miles of dingers to take the crown, veteran Yankees clubhouse reporter Bryan Hoch looks back to the final days of Jeter's historic career, and then fleshes out general manager Brian Cashman’s blueprint for building a new-look Yankees roster, the young players’ fascinating paths to the Majors, their playoff run, streaks and slumps, historic assaults on the record books, how they stack up against Hall of Famers and Yankee legends, and whether or not they can maintain their alluring charisma and amazing numbers in the years to come. 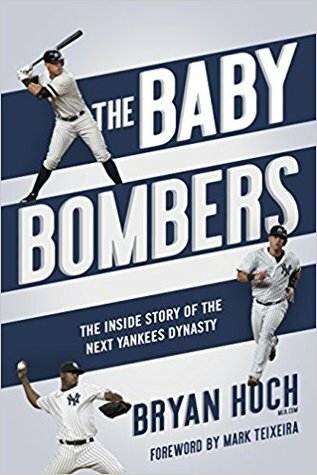 It’s a baseball insider’s account of how the Baby Bombers were born and how they’ve electrified Yankees Nation.